2. Nutrition. Your diet, especially the protein component. It's number 3 that we're talking about today. Muscles are not "made" in during your workout. They are in fact built in the middle of the night as you lie tucked into bed. 100% of muscle growth occurs as you rest. 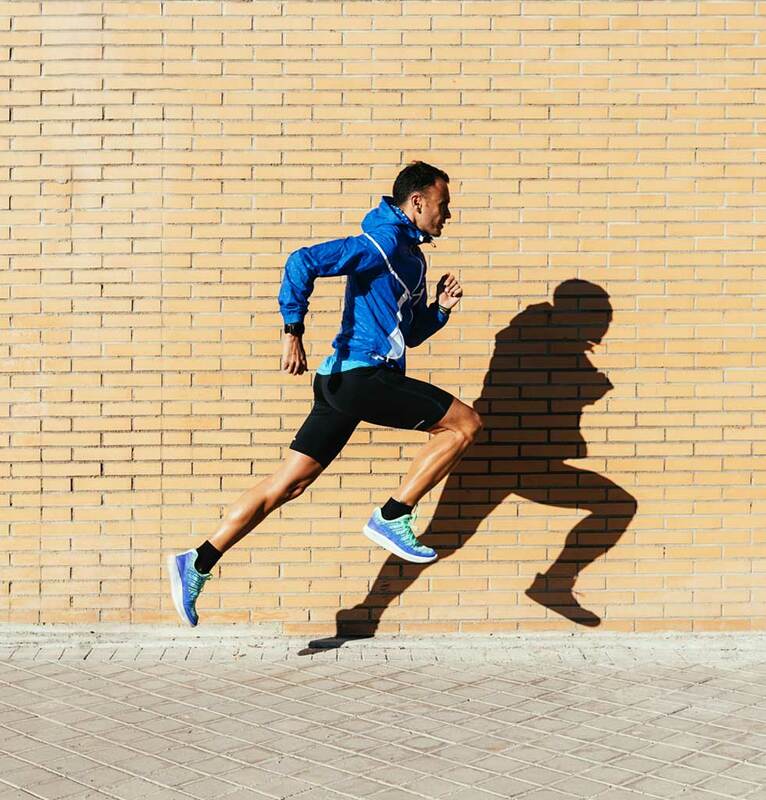 When you push a muscle hard, you're actually damaging it at the microscopic level, ripping and tearing the cells that make up a muscle fiber. After a workout the muscles you used are a wreck, like an overused bridge that's snapped some of its cables. Below is a microscope slide of actual muscle tissue exhibiting these microtears. These small tears and the inflammation they cause are the main reason you feel sore in the days following a tough workout. With increased strain, your body says to itself, "Hmm, for some reason I've got a lot more work to do these days." As you sleep it repairs those little tears by stringing new, thicker, sturdier fibers across the broken gaps. The raw materials needed to make these extra fibers come from amino acids derived from the protein you eat. Over time, these new thicker fibers add up, and the muscle gains size and structure, adding up to what we think of as "muscle tone". With rest, the body can't do this repair-work efficiently. 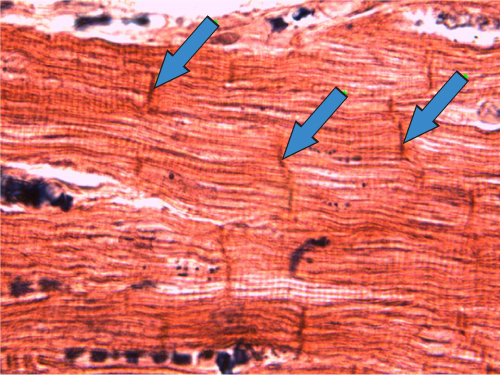 This process of stringing new fibers across muscle tears is so complicated and energy intensive that you need to be in a state of complete rest, preferably deep sleep. 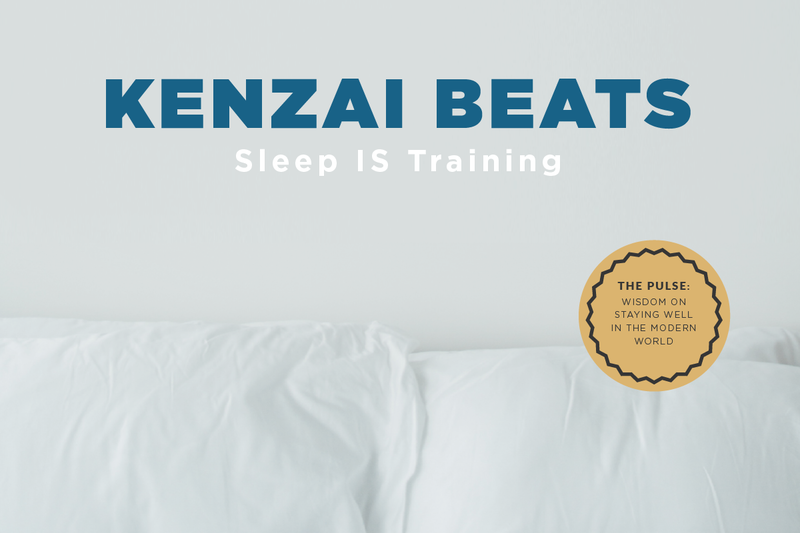 This means that a very mandatory part of Kenzai Body is to get a good night's sleep. For most people this means 8 hours or more. Rest, rest and more rest. This isn't because you're tired, or because you work so hard and deserve it, this is part of your training. In this sense Kenzai Body is going 24 hours a day, everyday, for 3 months. Sleep is training. One past member told us how she would leave a party early, explaining it was time for her "Buff Sleep". That's the perfect way to think about it. If you don't rest enough, you'll actually become weaker as your torn, messed up muscles try to do the work intended for healthy tissue. The results are not good. You will look stringy and thin. So no late nights. This is important!